Val Teixeira - Head Coach, Notre Dame Prep and former Harrisburg Heat professional player - will lead the tryout evaluations. All tryout sessions will be conducted and assessments provided by impartial, highly trained, soccer professional/trainer(s). All final decisions on team placement will be made by the Travel Program Coordinator in conjunction with individual team head coaches. The independent assessments will serve as the basis for team selection. Players will be officially notified of their invitation to join a specific team via e-mail. 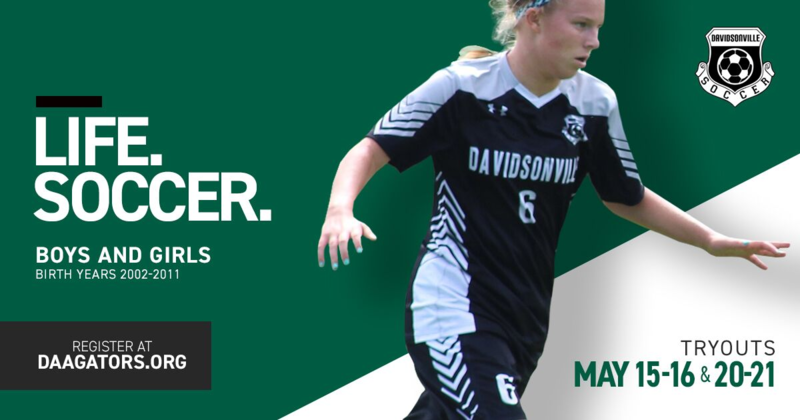 Please register via the following link - DAA 2019/20 Travel Soccer Tryouts. Additional details will be posted as they become available at DAA Travel Details. Please email with any questions. We look forward to seeing you there! DAA is pleased to announce the following Summer 2018 Soccer Camps to be held at DAA Park from July 29th - August 2nd. Carefully designed to improve you as a player both on and off the field. We invite all players to take advantage of this opportunity for development. Delivered by soccer professionals with coaching, playing, and training styles from around the world. Lectures on nutrition and injury prevention as well as strength and conditioning. Lots of ball touches through drills and small-sided games. All sessions will be led by Val Teixeira - Head Coach, Notre Dame Prep and former Harrisburg Heat professional player. He will be assisted by Harrisburg Heat and Baltimore Blast players.